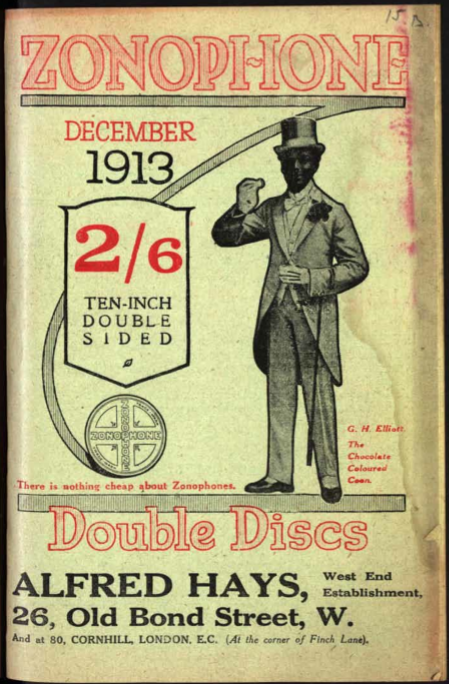 To learn about Christopher Lonsdale of 26 Old Bond Street, we first have to go back to 1819 when Robert Birchall, a music seller at 140 New Bond Street, died. In his will, Birchall described Christopher as Christopher Lonsdale the Younger “now living with me”. Christopher’s father, also Christopher, is described by Birchall as “the Elder” and a relation of his wife’s. Robert Birchall was married to Mabel Mills, who was the daughter of Mary Mills-Lonsdale, who was the sister of Christopher Lonsdale the elder’s father, yet another Christopher Lonsdale. So, Christopher the younger was the grandson of the uncle of the wife of Robert Birchall. Still with me? The family relations are even more difficult than this, see for more information the post on 140 New Bond Street. Suffice it to say here that Christopher the younger was related to Birchall and worked in his shop until the latter’s death. Christopher Lonsdale, Birchall’s daughter Mary, and Richard Mills (another relation which is explained in the other post) formed a partnership after the death of Robert to continue the music business. Mary left the partnership in 1829 and in October 1834 Mills and Lonsdale decided to discontinue the remaining partnership with Mills to stay at 140 New Bond Street and Lonsdale to start his own business at 26 Old Bond Street, taking with him Birchill’s sign “Handel’s Head”. 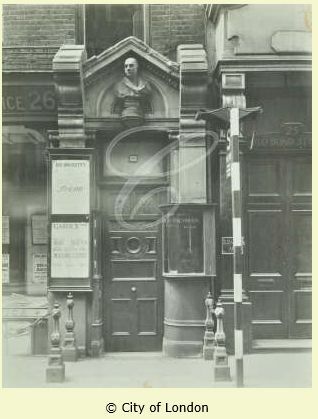 A photograph of the doorway of number 26 with the bust of Handel above it, can be found in the collection of the London County Council Photograph Library. 1834 was also the year in which Christopher the elder died. He is described as gentleman of Arlaw Banks, Whorlton, Durham. (1) Grandfather Christopher was also described as of Arlaw Banks; he died in 1797.(2). Christopher the younger had been born in Whorlton, or at least, he was baptised there on 22 May 1795 as the son of Christopher and Mabel Lonsdale. This Mabel is not to be confused with the Mabel that married Birchall. Christopher’s mother was Mabel Bellamy. Christopher the younger married Mary Ann Mills, the sister of his business partner Richard Mills in 1821. But now onto the business and the shop at 26 Old Bond Street itself. The building is still there, although it has acquired a totally new shop front and the top floor as been extended upwards. You can, however, still recognise the brickwork and windows on the first and second floor as more or less original. The brickwork of the higher floors does not quite match. Google Street View still shows Chanel as the occupant of the building, but they have recently moved to a bigger shop at 158-159 New Bond Street. I do not know who now occupies number 26 Old Bond Street as I have not been in the street for quite a while. The first insurance record for Lonsdale with the Sun Fire Office after the split with Mills is dated 2 September 1835 and names Christopher as ‘music seller and publisher’, but he was certainly trading from the new address as early as March 1835 as an advertisement in The Morning Chronicle makes clear. And not just as a music seller, but also, as Birchall had done, as a musical circulating library (The Era, 12 December 1841). Please note that Lonsdale is still referring to Birchall, more than 8 years after opening his own shop. Birchall had started publishing work by Ludwig von Beethoven in 1805 and obtained some of Beethoven’s’s copyrights in 1815/6. Beethoven sent a receipt in March 1816 confirming that he had received the equivalent of £65 from Birchall for the copyright of four works. (3) In November 1816, Lonsdale writes to Beethoven on behalf of Birchall and says that he is “sorry to say Mr. Birchall’s health has been very bad for two or three years back – which prevents him from attending to business […] I fear but little hopes of his being much better”. (4) Because of Birchall’s declining health, Lonsdale was the one to take over the correspondence with Beethoven, first as Birchall’s assistant, later in his own right from his premises in Old Bond Street. But not just Beethoven went with Lonsdale to Old Bond Street; Johann Sebastian Bach did as well. 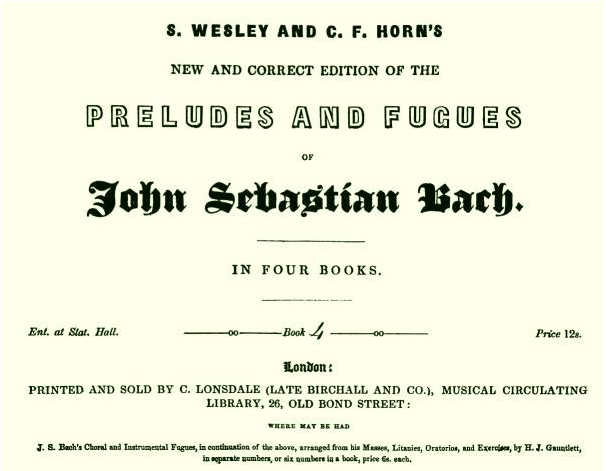 Yo Tomita, of Queen’s University Belfast, has dedicated a web-page to the publishing history of Bach’s 48 Preludes and Fugues, showing the editions published by Birchall and Lonsdale (see here). (3) Lady Grace Wallace, Beethoven’s Letters 1790-1826 (1866), letter 181 (online here). (4) Beethoven-Haus Bonn, NE 151 (online here). (5) The Morning Chronicle, 2 August 1855. (6) England & Wales, National Probate Calendar (Index of Wills and Administrations), 1877. Robert Edward was one of the executors and the estate was valued at under £8,000. (7) England & Wales, National Probate Calendar (Index of Wills and Administrations), 1891. The estate was valued at just over £1,500. (8) England & Wales, National Probate Calendar (Index of Wills and Administrations), 1891. The estate was valued at over £27,300. (9) England & Wales, National Probate Calendar (Index of Wills and Administrations), 1891. The estate was valued at over £100,000.